The difference between real and fake hamon is actually to confirm the authenticity of the sword. Clay tempered is transmitted from the early Tang Dynasty. It is a forging process that is extremely important in the process of forging swords from ancient times. Generally speaking, the cutter is covered with clay and have a quenching process. This can make the hardness of the edge and the blade different, the hardness of the edge is much higher than the blade itself. 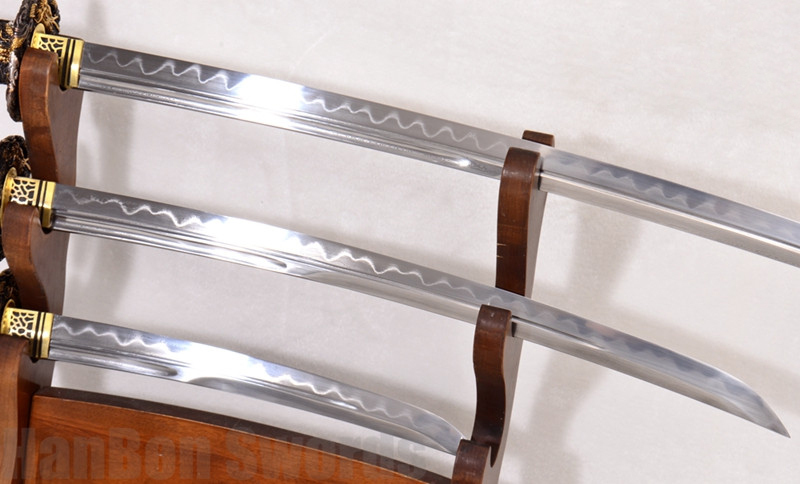 A sword has good flexibility while maintaining a high edge hardness, which increases the service life and provides excellent performance. 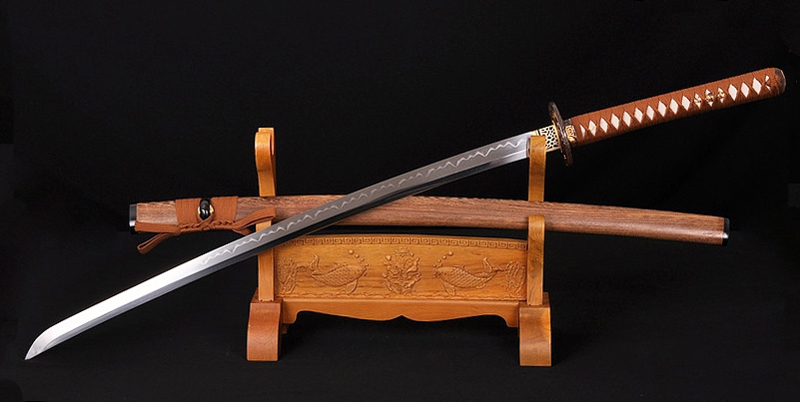 It is the Japanese sword that was forged by this kind of technology that was able to be called "outstanding" and "unique" among the world's many swords. There are many merchants who want to save money and earn private profits. They will use fake blades to defraud customers. The most common method is to use the pickling. This kind of fake blade is easy to distinguish by grinding the oxide film, so this method is currently basically eliminated by profiteers. Nowadays, the method of reverse rough polishing of the blade area is adopted, but at present, the high-grade fake sword adds a new process after the last process - sand blasting, by different sizes of different parts, different sand shapes (some even according to a certain proportion Sandblasting with different materials of different shapes and sizes). Different blasting angles and different speeds can achieve the level of spurious truth. So how to distinguish between real and fake? The blade has a regular state pattern generated by artificial covering. The brightness of the blade edge after polishing is significantly darker than the brightness of the blade. There is a hemp flower pattern between the edge and the blade which is easy to distinguish. 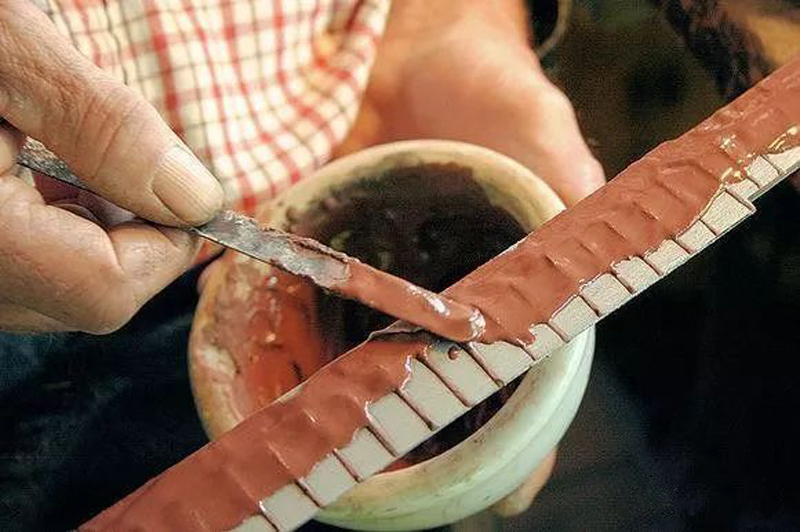 The clay tempered blade is a relatively complicated process. Some profiteers used mirror polishing during the polishing process, and the blade area was reversely rough polished. It can also produce a twist pattern, which can basically achieve the degree of chaos. But the quality is far worse than the clay tempered swords. The methods to distinguish real and fake (mainly distinguish between clay tempered and non-clay tempered): in the view of a high magnification magnifier. Although the edge and the blade area of the genuine blade are different in brightness, the degree of detail and the texture are the same. It's just the difference in brightness. Under the high magnification magnifying glass, the blade is obviously finer than the area after clay tempered, and texture after clay tempered is reversely rough polished.